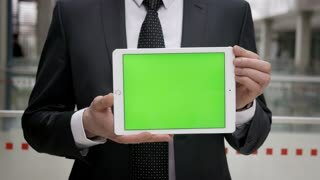 Businessman in suit holding a tablet with green screen. 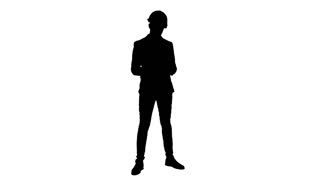 Man in suit showing something on the screen. Chroma key. Businessman holding tablet and smiling. Man showing thumb up. Easy steps to success.